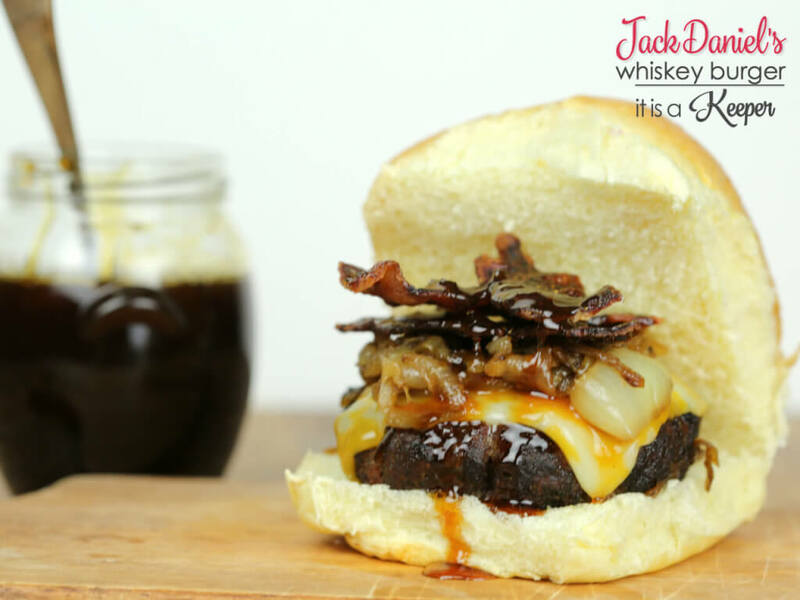 This Jack Daniels Whiskey Burger is one of my all time favorite grilled burger recipes! 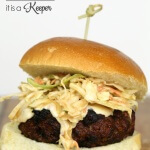 This burger is one of my all-time favorite grilled burger recipes! It’s layer upon layer of flavor and texture. Each bite is like a piece of heaven. 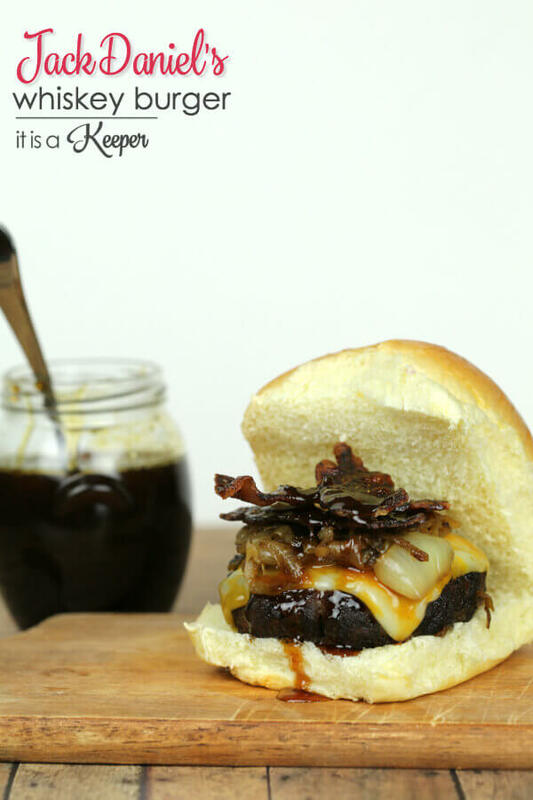 Then, I add a slice of Colby Jack cheese and pile it high with caramelized onions and candied peppered bacon. If you’ve never had candied peppered bacon, you don’t know what you’re missing! 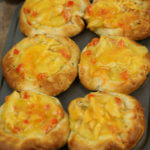 The last thing is a healthy drizzle of Jack Daniels Glaze. 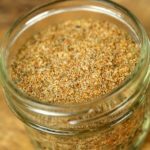 It’s sticky and sweet and peppery and good! Just look at that messy goodness. You haven’t had a burger until you’ve tried this one. 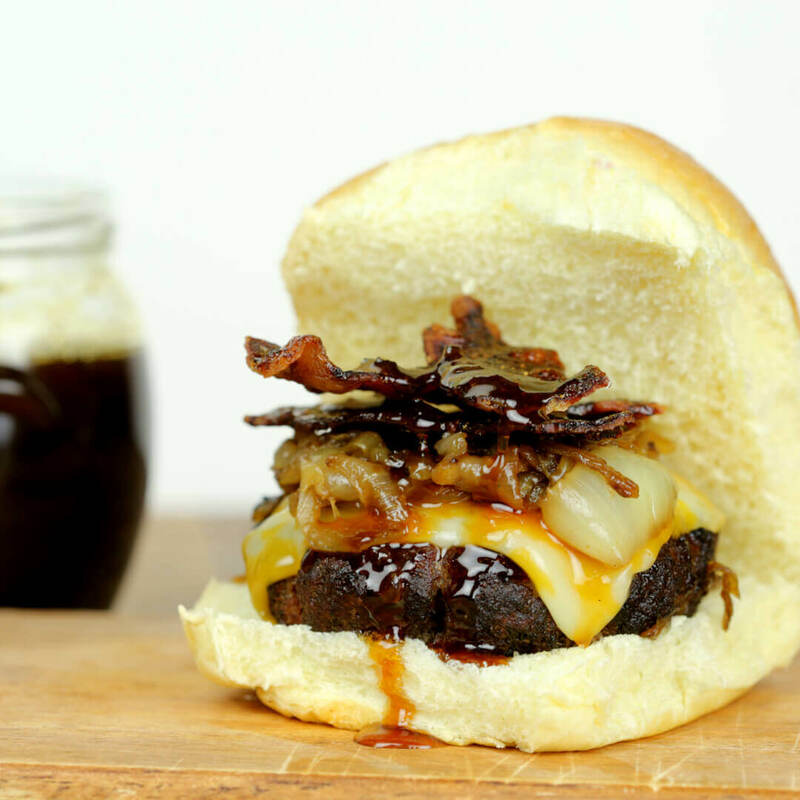 Top each patty with a slice of cheese and allow burger to sit on the grill for 1-2 minutes until the cheese melts. 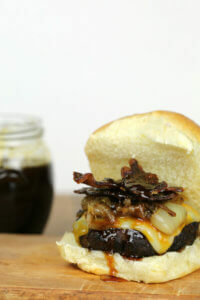 Remove from grill, place on bug and top each burger with caramelized onions, 1.5 slices of bacon and Jack Daniels glaze. where do I get the Jack Daniels glaze? Hi! Did you make the Jack Daniels glaze or did you purchase it? I dont see any links to it. Thank you! 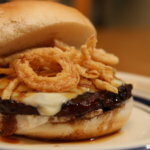 Hi Christina, this is a great burger. 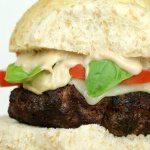 I hope you’ll add it to the Food on Friday collection over at Carole’s Chatter – together with some of your other great burgers!